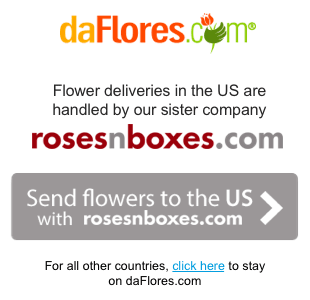 By clicking to accept these Terms and Conditions of Use of daFlores.com or Rosesnboxes.com, you agree to enter into a binding contract between you, the user, and FloresaColombia Inc., DBA daFlores.com and Rosesnboxes.com (the 'Company', 'daFlores', 'we' or 'us'). FloresaColombia Inc., owns and operates the daFlores.com website, the Rosesnboxes.com website (hereinafter collectively, the 'Sites'), the software, the applications and other services offered through the Sites (collectively, services'). You acknowledge that you have the legal capacity to enter into this contract. 'User' includes all visitors to the Sites, and those registered on the Sites. BY ACCESSING OUR SITES AND USING THE SERVICES, AND ANY OF YOUR UPDATES, AND BY PROVIDING OR SENDING INFORMATION THROUGH OUR SERVICES, YOU ACKNOWLEDGE AND WARRANT THAT YOU ARE AT LEAST (18) YEARS OF AGE OR OLDER AS OUR SITES ARE NOT INTENDED FOR USERS UNDER THE AGE OF (18) YEARS OLD AND HAVE READ AND UNDERSTOOD THESE TERMS AND CONDITIONS, THE ADDITIONAL TERMS AND CONDITIONS THAT APPLY, AS WELL AS THE PRIVACY NOTICE, INCORPORATED BY REFERENCE TO THESE TERMS; AND ACCEPTS TO SUBMIT THEMSELVES. IF YOU DO NOT AGREE TO THE TERMS, DO NOT ACCESS OUR SITES, DO NOT USE THE SERVICES, OR PROVIDE ANY INFORMATION THROUGH THE SITES. Privacy Notice. Our Privacy Notice is considered part of this Agreement and is available on this website. You must review our Privacy Notice by clicking on this	link. If you do not accept and agree to be bound by all the terms of this Agreement, including the www.daFlores.com Privacy Notice, do not use this Website or our Services. Access to the Sites and Services from territories where their content is illegal is prohibited. If you choose to access the Sites and Services from a location outside the US. You do it on your own initiative and you are responsible for complying with local laws. Registration and Affiliation. To place an order on our Site, you must register. If you register for an account, you can track orders, create an address book, store shipping addresses, discounts and other features offered through our Services. When you register, we will ask for your name, email address, telephone number and address. By registering on our Site, you agree not to provide false information on the Site or through the Services, or to create an account for anyone other than you. Refunds and Returns. Refunds Your satisfaction is our top priority. If you have a complaint or problem, please report the problem within five days after the requested delivery date, and we will do our best to correct any problem to your satisfaction. It is in our sole discretion to provide a reasonably priced refund or arrangement of flowers or a gift basket as soon as reasonably possible. Click	here to contact us. Changes. The floral arrangements are unique and handmade, so there will not be two of the same. We do our best to place your order as faithfully as possible to the photos and descriptions of the product, but in some cases, this may vary. To ensure that your order is delivered on the date you requested, we can make changes and substitutions. We strive to make sure that the replacement item is as similar as possible to the order. In varied flower arrangements, we will use the colors shown online, if possible, even if this means using flowers of equal or greater value. For unique floral arrangements, such as roses, sunflowers or lilies, we will do everything possible to match the type of flower, but we can replace it with a different color. Deliveries. In general, if you place your order before 12 noon, Eastern Time, we offer same-day deliveries in the United States and in most cities in Latin America. Orders are usually delivered between 9 a.m. and 7 p.m., local time in the country of delivery. If the recipient is not available at the time of delivery, we use our judgment to decide on the security of the delivery, leaving the flowers and/or the gift basket with a neighbor, and we will try again the delivery, or we can contact the recipient to coordinate the delivery. DaFlores will do everything possible to deliver the floral arrangement and/or the gift basket on the requested day. Unfortunately, due to various circumstances, we cannot guarantee a delivery time. If the delivery address is, or it seems to be incorrect, we can contact the recipient to confirm the address. During important holidays, such as Valentine's Day, Mother's Day and the Day of Love and Friendship, our delivery time may vary, and florists could deliver your order one day before, to ensure all orders be delivered on time. Live Chat. DaFlores.com offers an online service of bilingual live chat, which is offered through our service by third parties (Live Person), to help you with questions and information about your order. Our contractors/employees will request your name, email address and order number, as appropriate, so we can meet your needs. Violation of Copyright. We will investigate notices of copyright infringement and will take appropriate action in accordance with applicable local law, including, in the United States, the Digital Millennium Copyright Act (DMCA). The written notification of the alleged copyright infringement should be sent to our DMCA Agent, by sending us an email to copyright@daFlores.com. The following can be a separate page, since your DMCA problems will be very few. v. A statement that the information in the notification is accurate and, under penalty of fact, that you are authorized to act on behalf of the owner of the copyright. (This means that you are the owner or have a written authorization from the copyright owner). Please keep in mind that, under Section 512 (f) of the Copyright Act of the USA, anyone who deliberately misrepresents that material or activity infringes copyright, may be subject to large civil penalties and payment of damages incurred by us, any copyright owner or any copyright holder. You may also be subject to criminal prosecution for perjury. Please also note that the information provided in the previous legal notice may be sent to the person who provided the allegedly infringing content, and that we may choose to post the claimant's information instead of the disabled content. If you believe that someone has copied your work, either in part or in its entirety, please follow our procedures. Notification Under the DMCA. When we receive a notification regarding an alleged copyright infringement, we will remove the content that is the object of the notification. If you believe that your content was mistakenly identified as an infringer, you may file a counter-notification. If you do not have all the rights to publish the material in question, you MUST NOT send a counter-notification. Pursuant to Section 512 (f) of the Copyright Act of the United States. UU., Any person who deliberately misrepresents that material or activity was removed or disabled by mistake or misidentification, may be liable for damages. If the original claim of alleged infringement was filed under Section 512 (c) of the Digital Millennium Copyright Act, you must use the counter-notification under the DMCA. The process of counter-notifications is governed by Section 512 (g) of the Digital Millennium Copyright Act: http://www.copyright.gov/legislation/dmca.pdf. Consequently, if you are not sure if certain material infringes the copyrights of others, we suggest that you first contact a lawyer. You must send the Counter Notification to our designated agent to receive notices of infringement, whose name and contact information are found under the DMCA notice mentioned above. 1. Identification of the specific URL or URL of the material removed from our Site or to which our Site has disabled access. 2. Your full name, address, telephone number and email address, and the username of your account. 5. Firm. A scanned physical signature or a valid electronic signature will be accepted. 6. Presentation. We can only accept a counter-notification directly from the user whose account the content has been disabled. For aspects of verification, we request that a Counter Notification be sent from the email address associated with the account. Rights and Restrictions of Use. You must use the Sites and Services only for legal purposes. You must not publish, send or transmit any material that: (i) violates or in any way infringes the rights of others, including, among others, intellectual property rights, the right to privacy or publicity; (ii) is illegal, threatening, abusive, defamatory, invasive of privacy or publicity rights, vulgar, obscene, profane or objectionable; (iii) encourage behaviors that would constitute a crime, that give rise to civil liability or violate any law; or (iv) contains or implies false, inaccurate or misleading information, or is probable or that in fact results in damage or injury to a person, animal or property. You are prohibited from using the Services to: (i) facilitate the abuse of unsolicited mail or emails of any kind (Spam); (ii) circumvent any security features (including the use of another person's username to access the Site) or encryption tools that we may use to prevent or restrict access to all or part of the Site; (iii) generate civil liability for us, or cause us to lose (in whole or in part) the services of our ISPs or other providers; or (iv) deliver viruses, Trojan horses, malware or similar or other programming code routines that may damage or interfere with the Sites or Services. In addition, you agree not to use the Sites or Services to distribute, promote or publish any material that contains any request for funds, advertising or solicitation of goods or services of any kind, unless we expressly authorize it. We reserve the right to deny the Service to users, for any reason. We may alter, suspend or discontinue any aspect of the Sites or the Services at any time, including the availability of any feature or content. We may also implement limitations on certain features and aspects of the Sites or restrict access to all parts of the Sites or Services, without prior notice or liability. If your account has been canceled for any reason, you cannot re-register as a member without our prior written consent. We may alter, suspend or discontinue any aspect of the Sites or the Services at any time, including the availability of any feature or content. We may also implement limitations on certain features and aspects of the Sites or restrict access to all parts of the Sites or Services, without prior notice or liability. If your account has been canceled for any reason, you cannot re-register as a member without our prior written consent. We may alter, suspend or discontinue any aspect of the Sites or the Services at any time, including the availability of any feature or content. We may also implement limitations on certain features and aspects of the Sites or restrict access to all parts of the Sites or Services, without prior notice or liability. If your account has been canceled for any reason, you cannot re-register as a member without our prior written consent. We may also implement limitations on certain features and aspects of the Sites or restrict access to all parts of the Sites or Services, without prior notice or liability. If your account has been canceled for any reason, you cannot re-register as a member without our prior written consent. We may also implement limitations on certain features and aspects of the Sites or restrict access to all parts of the Sites or Services, without prior notice or liability. If your account has been canceled for any reason, you cannot re-register as a member without our prior written consent. Intellectual Property and Copyright Notice. The Sites are controlled and operated by FloresaColombia, Inc. Our software, applications and our materials and information about the Sites and Services, including, among others, images, text, data, illustrations, audio, video files, as well as the selection, the coordination and disposition of said materials (collectively, the 'Intellectual Property'), are protected by copyright, trademarks, service marks or other proprietary rights that are our Intellectual Property or that belong to third parties that have licensed us your Intellectual Property, and all other trademarks, service marks and trade names used on the Sites are the property of their respective owners. You agree that the Intellectual Property of the Sites and Services may not be used without the express written permission of FloresaColombia, Inc. Therefore, you will not: (i) remove or conceal any notice of intellectual property; or (ii) will be held as the owner or creator of any material on the Sites and Services, unless you are the owner or licensee of such material (including, among others, text and photos). In addition, you agree that Intellectual Property, including, among others, brands and logos, will not be used in any way that disparages or discredits the Sites, Services or users, or that may cause confusion among consumers. Except as expressly authorized in this document, the material of the Sites and Services or the material transmitted through the Sites and Services, must not be copied, modified, reproduced, republished, uploaded, published, redesigned, transmitted, retransmitted, distributed or redistributed, in any way. The use or modification of our Intellectual Property in any way, including, among others, use in any other website, computer network environment or mobile device, without the express written authorization, constitutes a violation of our copyright and other property rights and is strictly prohibited. If you have any questions or concerns about Intellectual Property on our Sites, including copyright, please send us an email to info@daFlores.com. Breach . Without limiting other available actions, we may limit your Account activity, issue a warning, temporarily suspend, terminate your membership indefinitely and refuse to provide our Sites and Services if, in our sole and independent judgment: (a) you default, or we believe you are about to breach these Terms or the documents that they incorporate by reference; (b) we cannot authenticate any information you provide to us; (c) does not pay us any amount owed before the due date; or (d) we believe that your actions may cause financial loss, injury or legal liability to you, our users or the Company, and to its officers, directors, employees, agents, distributors, affiliates and external suppliers. Mobile Access. Our Sites are designed for browsing on mobile devices. We do not charge for viewing our Sites, however, the normal rates and charges of your wireless service provider will apply, as well as data transfer fees. Please, check the notice of your provider. Under no circumstances will we be responsible for the wireless charges incurred by a user. DISCLAIMER OF LIABILITY. THE MATERIALS, PRODUCTS AND INFORMATION PROVIDED ON THE SITES OR THROUGH THE SERVICES ARE PROVIDED 'AS IS' AND WITHOUT WARRANTIES OF ANY KIND, EITHER EXPRESS OR IMPLIED. YOU EXPRESSLY AGREE THAT YOUR ACCEPTANCE AND USE OF THE SITES AND SERVICES IS AT YOUR OWN RISK. TO THE FULLEST EXTENT PERMITTED UNDER APPLICABLE LAW, WE WAIVE ANY AND ALL EXPRESS OR IMPLIED WARRANTIES OF ANY KIND, INCLUDING, BUT NOT LIMITED TO, WARRANTIES OF MERCHANTABILITY, IMPLIED WARRANTY OF MERCHANTABILITY OR FITNESS FOR A PARTICULAR PURPOSE RELATED TO THE USE OF THE SITES AND SERVICES. WE DO NOT GUARANTEE THAT THE SITES, COMPUTER SYSTEMS, SERVICES OR SOFTWARE WILL BE UNINTERRUPTED OR ERROR-FREE, THAT DEFECTS WILL BE CORRECTED, OR THAT THE SITES, THE SERVICES OR SERVER THAT MAKE THEM AVAILABLE ARE FREE OF VIRUSES OR OTHER HARMFUL COMPONENTS. YOU (AND NOT US) ASSUME THE ENTIRE RISK AND COST OF ALL NECESSARY SERVICES, REPAIRS OR CORRECTIONS. IN ADDITION, WE DO NOT WARRANT OR MAKE ANY REPRESENTATIONS REGARDING THE MATERIALS, GOODS, CONTENT OR SERVICES PUBLISHED BY US, BY OUR ADVERTISING PARTNERS (AFFILIATES) OR THOSE POSTED ON THE SITES. AS AN ADDITIONAL SERVICE FOR YOU, WE OFFER ACCESS TO AFFILIATES AND ADVERTISERS, AND, THEREFORE, WE ASK YOU TO CHECK YOUR CORPORATE POLICIES, INCLUDING, AMONG OTHERS, ITS TERMS AND CONDITIONS AND PRIVACY POLICIES. YOU ACCEPT THAT NEITHER THE COMPANY, OUR OFFICERS, DIRECTORS, EMPLOYEES, CONTRACTORS, AGENTS, PROVIDERS OF THIRD PARTIES, AFFILIATES OR ADVERTISERS, THEY WILL BE LIABLE TO YOU FOR ANY LOSS, DAMAGE (WHETHER DIRECT, INDIRECT, ACTUAL, CONSEQUENTIAL, PUNITIVE OR OTHER), INJURY, CLAIM, LIABILITY OR OTHER ACTION OF ANY KIND OR NATURE, WHETHER BASED ON OR AS A RESULT OF ANY PRODUCT , SERVICE, INFORMATION, MATERIAL, CONTENT OR OPINIONS PROVIDED ON OR THROUGH THE SITES AND SERVICES. APPLICABLE LEGISLATION MAY NOT ALLOW THE DISCLAIMER OR EXCLUSION OF WARRANTIES, SO THE ABOVE DISCLAIMER MAY NOT APPLY TO YOU. Allergic Reactions. Although it is unusual, please be aware of any allergies your friends, family or other people may have to flowers and certain foods. IN THE UNFORTUNATE AND EXCEPTIONAL CASE THAT THE RECIPIENT OF YOUR ORDER SUFFERS FROM AN ALLERGIC REACTION TO ANY ORDER MADE THROUGH OUR SITES AND SERVICES, WE DO NOT ASSUME ANY RESPONSIBILITY FOR SUCH ALLERGIC REACTION. Applicable Legislation and Jurisdiction. These Terms, which include but are not limited to the Privacy Notice, shall be governed by the laws of the State of Florida, USA. UU., Without considering its principles of conflict of laws. You submit to the exclusive personal jurisdiction of the state and federal courts located in Dade County and the Southern District of Florida. The United Nations Convention on Contracts for the International Sale of Goods shall not apply. Contract Prevalence. These Terms and Conditions, including the Privacy Notice, constitute the entire agreement between you and the Company. No waiver or breach of these Terms will be a waiver of any other provision of this agreement, and no waiver will be valid unless signed in writing by the parties. If any provision of these Terms is deemed void, that provision will be restated to reflect, to the extent possible, the original will of the Company. Any provision that must survive to allow the Company to enforce its interpretation will remain in effect after the termination of these Terms. Assignment of Rights and Succession. Notwithstanding any other provision of these Terms, the Company, its successors and assigns, may enforce fully any term or provision of these Terms, and all rights and benefits shall apply to such successors and assigns, with or without notice. Termination: You can cancel your registration/membership at any time, through the 'My Account' page or by writing to info@daflores.com. Within a reasonable period of time after cancellation, all information you submit to our Sites will be unavailable for viewing and will be removed from our active databases, but may remain in our files, especially if it is necessary to store it for legal obligations. The Terms shall remain in force and be legally binding upon termination or termination, without limitation. We may terminate your use and registration on the Sites, at any time and for any reason, with or without cause, without prior notice and without any additional liability or obligation of any kind for you or any other party. Notifications. Unless otherwise indicated, please send notices to the Company information listed at the top of this Terms and Conditions or email us at info@daFlores.com. No Commercial Use. You understand and agree that, apart from placing orders, you must not use the Sites or Services for commercial purposes of any kind, without our prior written approval. If you are the owner of a good or service and wish to highlight your good or service, or if you have questions about advertising on our Sites, please send us an email to info@daFlores.com. Compliance With ADA. Our goal is to comply with the ADA, making access to our Services available to as many people as possible. If you have any suggestions to facilitate access to our Sites, please contact us as we continue to improve our services and products. Changes to Our Terms and Conditions. We reserve the right to change these Terms and Conditions at any time by giving you advance notice of the changes by email or in writing. We will also post these changes on our website. These changes will become effective 30 days after receipt of the notice. Your continued use of our Website, Services, and Products after any change to these Terms and Conditions and our notifying you will constitute your acceptance of such change. If you do not agree with the changes to these Terms and Conditions, you can choose to discontinue the use of our Sites and Services. Copyright 2018 daFlores.com. All rights reserved.